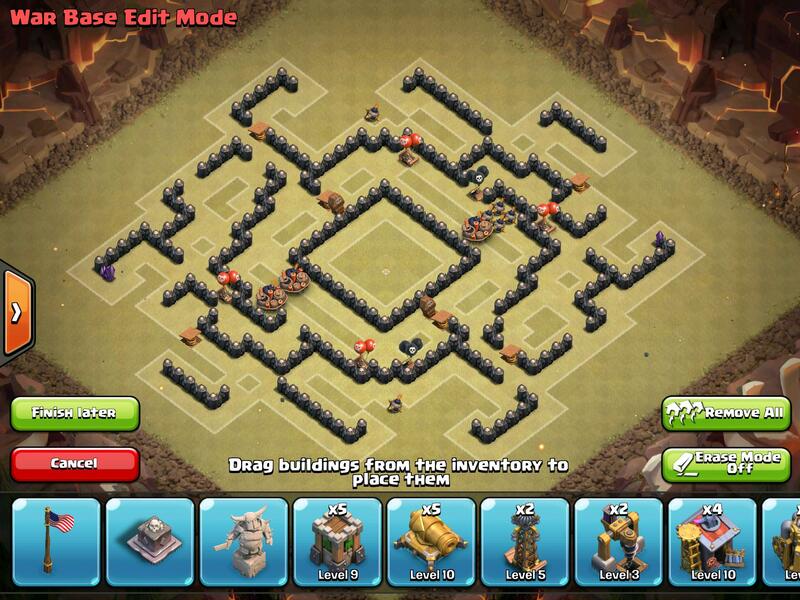 When I was a TH8 I used this war base to great success. 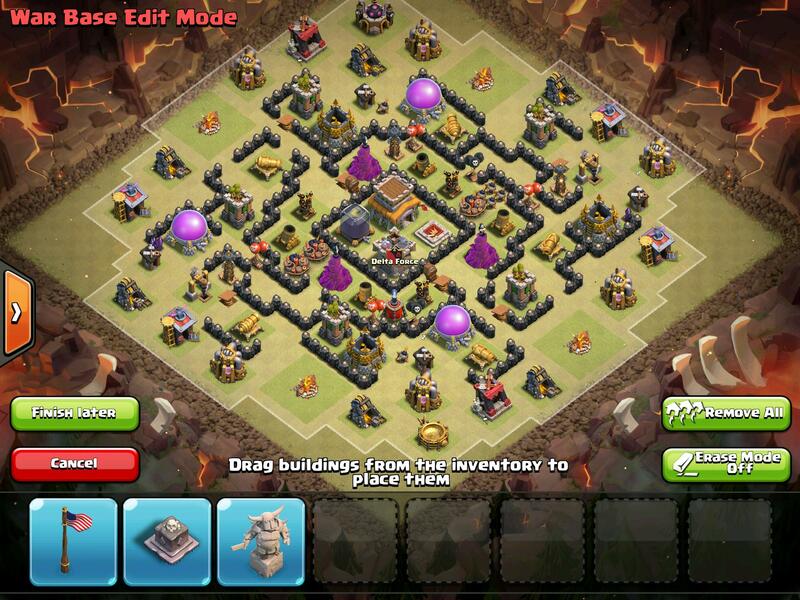 If you are a TH8 and are need of a warbase I HIGHLY recommend this one. 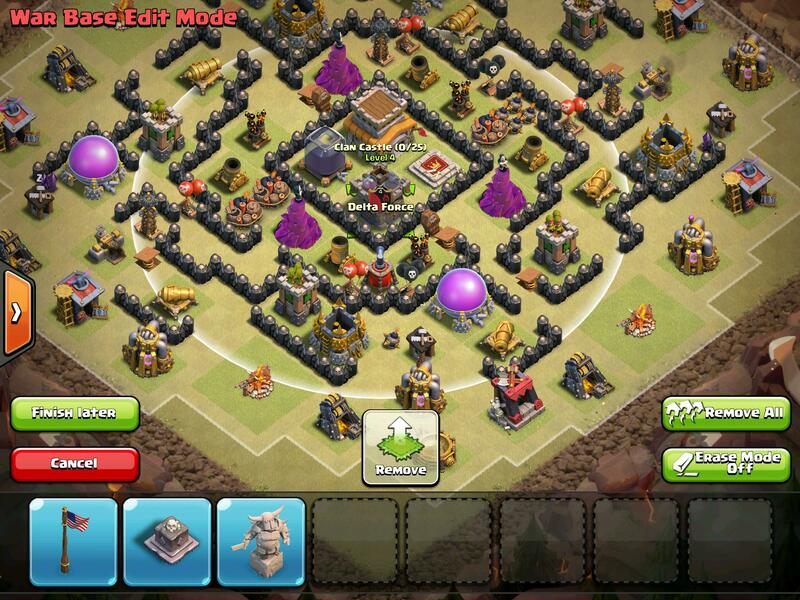 It can only get 3-starred by TH9's and sometimes they can fall to it.